Cheap Pirate Hat Ducks - 12 Ct.
Pirate Hat Ducks - 12 Ct. Perfect addition to any pirate themed goody or loot bag! These rubber duckies can be used for so much more than just bath time fun. Set sail on the high seas with these vinyl pirate ducks. 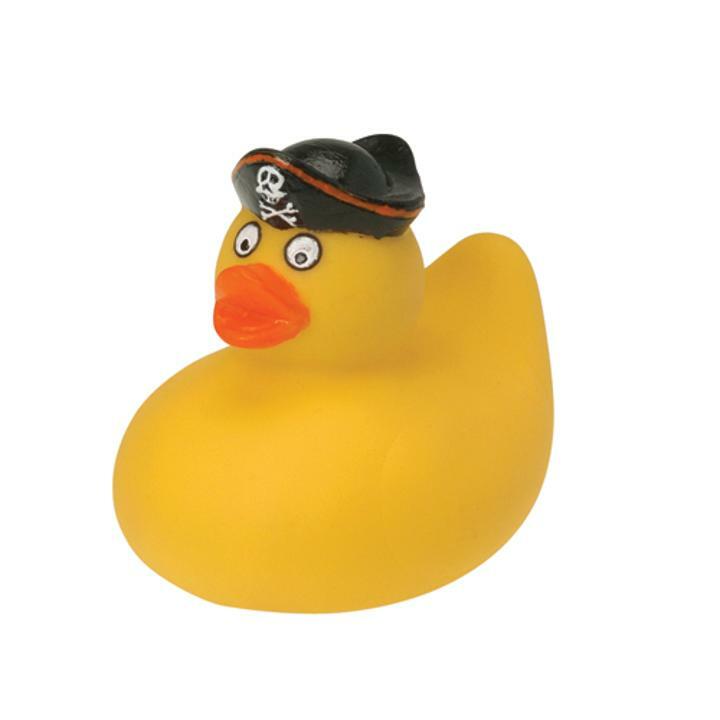 Pirate hats with a skull and crossbones design sit atop the pirate duckies head. Ducks measure 4" Long x 3" wide x 3" tall. These ducks do not squeak. US Toy Exclusive! L: 13.0 in. W: 15.0 in. H: 3.5 in.